Before all else, four words: How. Sweet. It. Is. While the logistics will make for an unusually seamless transition, news of the appointment promises to spark an exuberant reaction among the close-knit Tylerites, for whom, on multiple levels, the choice is likely to resonate as something of a dream come true, not to mention quite the gift from Rome on the diocese’s 25th anniversary. Yet even as it’s exceedingly rare for a priest to be directly named to shepherd his home-fold – an event the American bench has only seen four other times in the last decade – it’s even more unique that the nod falls to a figure whose qualities, talents, depth of prayer and goodness of spirit are so widely known, cherished and praised. In a nutshell, you won’t hear a bad word anywhere about Joe Strickland. If anything, quite the opposite. A product of Holy Trinity Seminary in Irving – and protege of his rector there, the future Archbishop Michael Sheehan on Santa Fe – today’s nominee earned a JCL from the Catholic University of America, returning home to take up double-duty in chancery and parish work. Until being named vicar-general in early 2010 (doubling up again as chaplain of the see-city's Catholic high school), Strickland had spent a decade and a half as rector of Tyler’s Immaculate Conception Cathedral, becoming a popular figure beyond the town’s Catholic minority thanks to his affinity for running in the streets. With the nod, the bishop-elect becomes the second blogging priest to be elevated on these shores, joining the celebrated Bishop Chris Coyne, who recently marked a year as apostolic administrator of Indianapolis following the early retirement of Archbishop Daniel Buechlein OSB. Likewise fluent in Spanish – as with all of Texas’ 15 dioceses, the Tyler church has a considerable Latino population, estimated in the 40 percent range – Strickland’s breadth of skills and regard have seen his name floated for the episcopacy for quite some time. 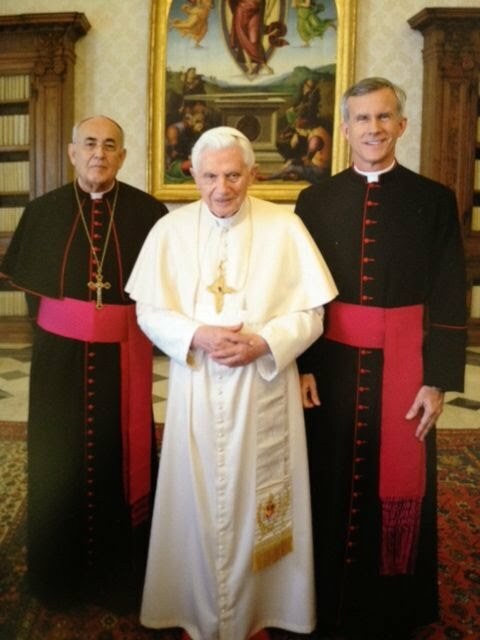 Yet after years of speculation linking him to any number of dioceses or as a potential auxiliary in Dallas, Houston or San Antonio, so it would be that he’d end up in what’s likely the happiest assignment of all – home, where the heavy cross of the mitre would seem somewhat lighter amid the love and support of his own. 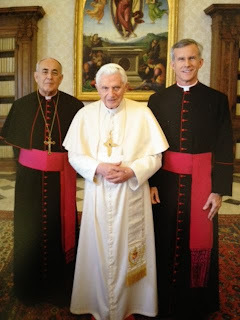 For Rome’s part, Benedict’s decision for a continuity choice signals a firm vote of confidence in the state and direction of the Tyler church. Its population having tripled since its founding, the intimate yet vibrant "Deep East" diocese encompassing Texarkana, Paris and Nacogdoches – where parishes can be a 30 to 50 mile trip for many of their people – has consistently produced a staggering number of priestly vocations given its size, ordaining six just this year. In an advisory circulated yesterday, the Tyler Chancery announced an “ad sedem” press conference for 10am Central today to introduce the nominee, even if he needs no introduction. 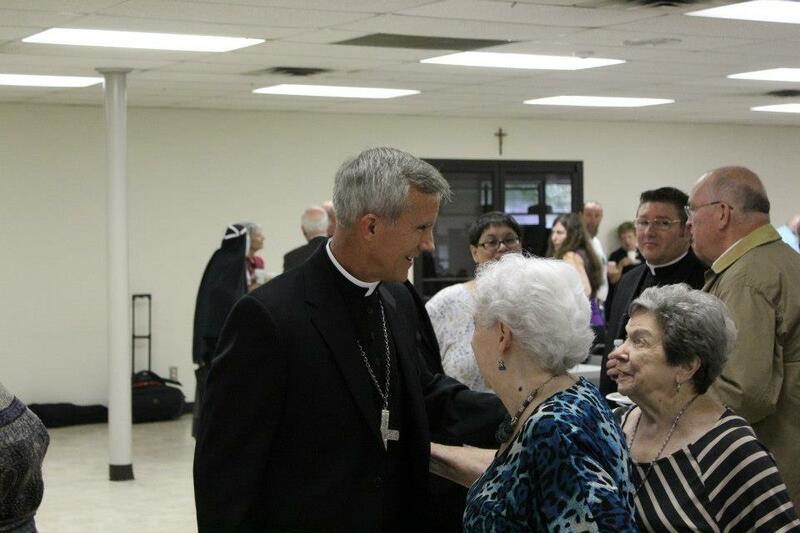 With the appointment, the first of three current diocesan openings in Texas has been resolved. Beyond the ongoing vacancies in El Paso and, now, Fort Worth following Bishop Kevin Vann’s transfer to Orange last week, the west-state’s San Angelo diocese is likely to transition within the next year after its longtime head, Bishop Michael Pfeifer, reached the retirement age of 75 last May. An Oblate of Mary Immaculate, Pfeifer’s led the 90,000-member, 38,000 square-mile fold since 1985. Meanwhile, with Strickland’s selection, it’s worth noting that the current pontiff has reached a small but significant milestone. Seven years after his election, Benedict has now named a majority of the ordinaries of the Lone Star State, where Catholics eclipsed Evangelicals midway through the last decade to become Texas’ largest religious group. Developing -- more to come. "The Palladium of Our Liberties"